4) Mandates. You get near this a couple of times, but there is a tremendous contradiction in the fact that for the first time I’m aware of in history, under the banner of “open” and “free,” academics are being told where and how they can and should publish and not publish. There is a broad suggestion around that you touch on, that academics should not publish in non-OA journals. Whatever the moral benefits of OA may be (and they are much thinner than advocates suggest, as you rightly point out), academic freedom is more important. 5) Libraries. 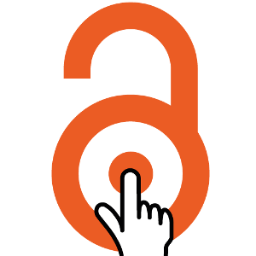 The sharp edge of the OA knife is a Manichean distinction between “open” and “closed.” Anything not freely available on the web is “closed.” This is an amazing reinterpretation of the function of libraries, which have until now been seen as open institutions that provide largely free access to all sorts of published material, and still do. The fact that an article is available for a fee on the web, but for free in nearby libraries, still makes it count as “closed.” That disparages libraries (and is partly responsible for another anti-intellectual push toward putting them out of business) and turns the facts of the world upside-down. If the price of access is a trip to the local library, I don’t see why that is unreasonable. At all. 6) The Reinterpretation of Publishing. In history, publishing has been about making things open and available, through not just printing but publicity, distribution, editing, and so on. Now we have book historians as wise as Darnton reinterpreting publishing itself as a means of preventing rather than providing access. That is really bizarre. “Paywalls” do not prevent access. Stephen King fans are not “prevented” from reading his books because they cost money. This just turns obvious facts on their head. 8) The Slippery Target of OA. The best arguments for OA focus on academic journal articles because they have traditionally been contributed without compensation. Yet many of the most rabid OA supporters go much further, beyond the Budapest OAI recommendations, and start to talk about mandated OA for all sorts of other things up to and including “everything professors publish.” The fervor with which this position is sometimes recommended (see: the recent AHA Electronic Thesis controversy) also smacks to me of cognitive dissonance, because depriving professors of the opportunity to earn money for their own creative and scholarly productions is one of the best ways to eviscerate what is left of the professiorate. This entry was posted in cyberlibertarianism, digital humanities, information doesn't want to be free, rhetoric of computation and tagged "free", "open access", "open", aaron swartz, academic politics, global south, ideology, jstor, libraries, publishing. Bookmark the permalink. Post a comment or leave a trackback: Trackback URL.